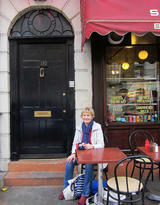 BBC Sherlock Fan Forum - Serving Sherlockians since February 2012 » "Are you really a doctor?" » "Are you really a doctor?" "Are you really a doctor?" 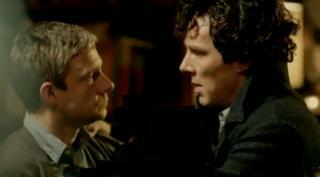 One thing I never quite understood - why did Smith continue to question if John was a proper doctor or not? Re: "Are you really a doctor?" 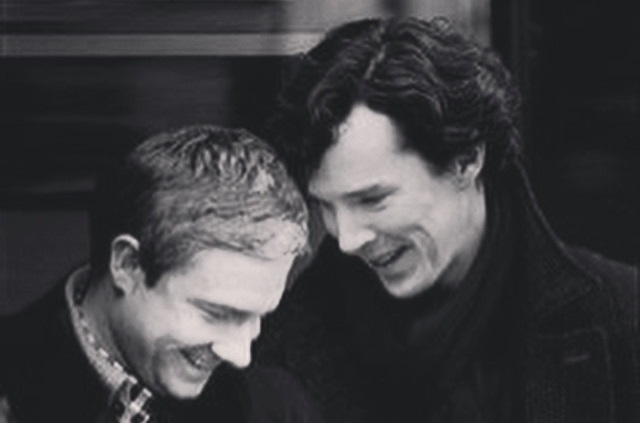 I think it was a jibe at him clearly failing to take care of Sherlock. And he's making a point that a doctor should pick up on Sherlock being drugged and delusional (and so falsely accusing Culverton). There's also a bit of a joke (in the UK? Or everwhere?) about about people with doctorates not being real doctors or vice versa. I don't know if the titles are the same in different countries (I do know that "professor" means something different in the US to the UK). Culverton mentions media studies, which is a subject often used as an example of a modern, less worthy field of study. I haven't explained that well, and probably didn't even need to as you probably all knew! Interestingly, another thing that may be UK-specific, I'm not sure, is that surgeons didn't used to be "real doctors" either. So they don't have the title "Dr", but the title "Mr", "Ms", etc. Of course, that means that "Mr" is now a high status title (as doctors whose title is Dr have trained and studied to become Mr/Ms again!). If John was a consultant surgeon he would be known as Mr Watson, and it would be rude to call him Dr Watson! I do understand his jabs about "media studies" etc. In Norway, you could take a PhD (called "doctorate" in the old-fashioned way) in many different things. So I knew what he was getting at. I just didn't understand why. What his point was. Ah, I see what you mean. I'll go with my first answer above then - I think his ultimate point is that he's trying to discredit what Sherlock is saying and make John doubt him. It's a clever bit of manipulation being presented as straight talking, I suppose. It could also be a way to discredit John - how badly he looked after Sherlock (who was clearly in a bad state), if he was a doctor, as he said. To me, the answer is quite simple. "...you are only a general practitioner with very limited experience and mediocre qualifications." In short: Just a tongue-in-cheek placement of an original quote summary without a deeper inner meaning. Yes, sounds likely, although I still think there's a little bit of something more going on with Culverton. He's questioning whether John is a doctor at all (not criticising him for being a GP) - and trying to make Sherlock appear delusional. Ah, good point. I didn't know that.